Your taxpayer dollars at work! Thanks to the state’s budget deficit, Virginia may finally scale way back a notorious fossil fuel subsidy that currently transfers tens of millions of dollars annually from taxpayers to the pockets of corporations that mine Virginia coal. The Richmond Times Dispatch reports that if Governor McAuliffe has his way, the Virginia Coal Employment and Production Incentive Tax Credit and the Coalfield Employment Enhancement Tax Credit will be limited to $500,000 per year, saving the government $20 million per year. The refundable tax credits were intended to make Virginia coal cheaper for utilities to buy, and thus more competitive with coal mined in other states. In theory, that was supposed to mean more coal mining jobs in southwest Virginia. In practice, the subsidies meant some coal companies paid no state taxes, and actually received significant cash handouts, even as coal jobs declined. And because the subsidies are based on tons of coal mined and not on the number of people employed, mining companies suffered no penalty from capital investments that maximized production while cutting jobs. 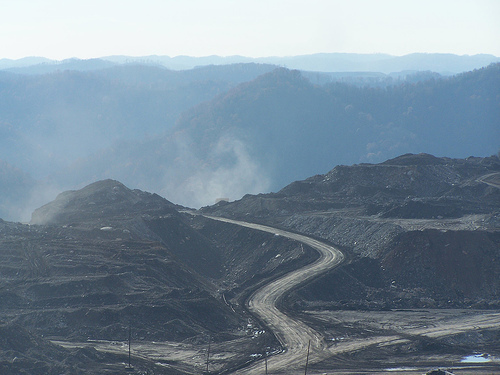 The coal subsidies have long infuriated environmentalists and community activists in the Coalfields region. In their view, Virginia taxpayers should not be forced to reward mining companies for blowing off the tops of our mountains, filling ancient stream valleys with rubble, poisoning wells and rivers, and destroying homes to get at the last, thin seams of Virginia coal. Renewable energy advocates have also complained that by making coal cheaper, the subsidies make it harder for other forms of energy to compete. One would expect this argument to resonate with free market advocates, a category that supposedly includes all Virginia Republicans and a lot of the Democrats. Yet in spite of criticism from some Democrats, the subsidies have not faced serious opposition before now. Under McAuliffe’s proposal, VACEDA would get a direct appropriation of $1.2 million to replace the money it would lose by the scaling back of the tax credits. That should satisfy those legislators whose primary concern is helping residents of southwest Virginia. He expressed no concern about coal’s war on the people of southwest Virginia. For those who care about that, Governor McAuliffe’s move feels like a breath of clean air. Addendum: Senator Bill Carrico (R-Alpha Natural Resources) has now filed a bill, S741, to extend the coal subsidies until 2022. This entry was posted in coal, legislation and tagged coal, JLARC, Southern Appalachian Mountain Stewards, subsidies, tax credits, Terry McAuliffe, VACEDA, Virginia General Assembly. Bookmark the permalink. Thank you, Governor! It’s time for a new paradigm in Virginia. Great post Ivy! What can we do to make sure the subsidy is transferred to the Virginia Coalfield Economic Development Authority?